from the heart of macedonia comes herzel with his first ep for uncanny valley. the four tracks point him out as an expert for creating tracks on the blurred line between rave and darkness. if you are listening on a proper sound system, it is almost impossible not to be moved by the mighty drones of forms that almost feel like tectonic shifts. glide runs in similar veines and brings power to the dance floor with rolling bass synths and sublime pads. a little more straightforward is glowworms with sharp drums and an acidic synth theme only to finally merge into an elegiac climax. 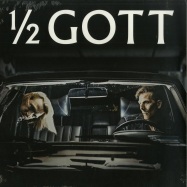 finally, two hits hard with slapping synths and a dubby bass line, a gripping yet somehow nasty track. 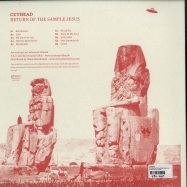 whether he is sample jesus, mpc-man or just cuthead from the block, the dresden based artist is here to help you discovering your body s potentials. for the first time iron curtis enters the ring over the full ep length for uncanny valley. 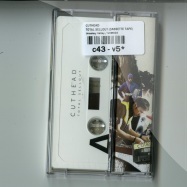 there hasn t been much of a discussion whether or not this is something for uncanny valley when iron curtis approached the four label heads with this new pile of dance floor material. these tunes are too good. 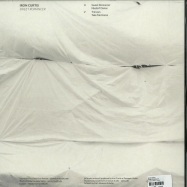 iron curtis must have been particularly inspired by the muse while producing these four outstanding house tracks. you ll feel a comprehensive knowledge about dance music s history when listening. no doubt, the franconian who is now based in berlin has spent a good time of analysing house music s techniques. -sweet romancer- is the best example for his studio eloquence. modulated synths, a classic bass line and a whole batch of drum ideas are combined into a wonderful track. 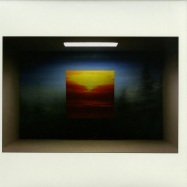 the interplay between subtlety and vitality characterizes -nixdorf danse-. plus, you won t forget those strings. on -triroom- he proves that he has a knack for melodies as well. finally, -take me home- should provide a lot of emotional moments on the dance floor with its dramatic piano and crescendo-like synth line. 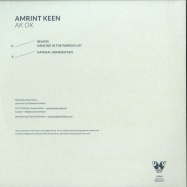 amrint keen is the new alias of lake people, reserved for his dance music productions with a rather electro feel to it. now, chinaski s first solo ep for the dresden based label is at the ready. 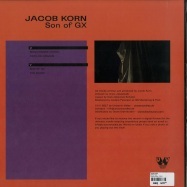 do yourself a favour and dance across the floor when listening to the new jacob korn-record, aptly titled son of gx. 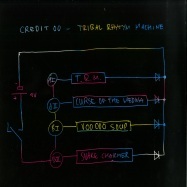 the music is heavily based on the good old yamaha electone organ. 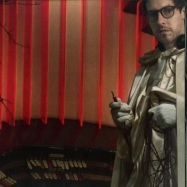 the home organ for the world s gentlemen was modified by jacob himself and is now an integral part of his studio. 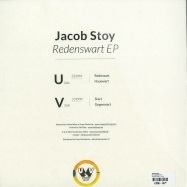 as you ll hear it on the ep, it injects a decent dose of fun into jacob s vision of house music. at least, you will instantly notice that when listening to singlefinger chord, a track that conquers the floor with its disco elements. rumours say that jacob s cat toddled on his poor man s yamaha cs80 when producing cats on organs. if that s true, the cat provided an irresistible hook to an already slamming, italo-inspired track. 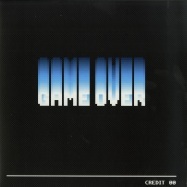 son of gx is every bit as compelling as the first two tracks with its synth trumpet glory while the slighty darker fun blocks sustains us with heavy percussion works straight out of the yamaha electone organ. 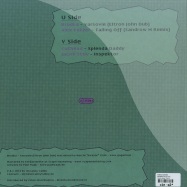 on top, you ll get a remix for singlefinger chord by new york s jacques renault (let s play house) as digital bonus. 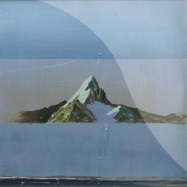 when he proceeded further into the production process, he limited himself using the computer less and instead learning to trust his intuition, the flow of his fingers and to use his own voice as an instrument. 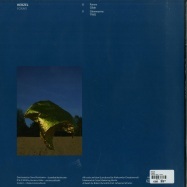 this led to an album that is rather hard to pin down genre-wise but even easier to connect to emotionally when you listen to it from start to finish. 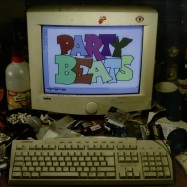 whether it is hip hop,techno, electro boogie, new beat, italo, jungle, reggae, house or chill out. though, all those different sounds and styles do not tear this album apart. it s a bit of a miracle that it feels so flawless for what happens between the appetizing -level one- and the final track -the last march-. 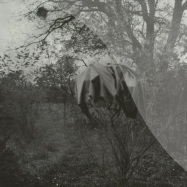 on his first album “so ist es im nadelwald” cvbox rides between the corner points of techno, electro and ambient. the music is infused by an omnipresent darkness that isn’t just there as an end in itself but will definitely give the thrills to listener and dancers. 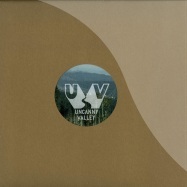 synth wizard und disco don massimiliano pagliara is the latest addition to uncanny valley s roster. and if you re familiar with the italian s soundscapes you probably think this is good news. believe it or not but uncanny valley looks back on five years of releasing records this summer. its about time that dresden based steve kasper comes around with his first solo ep on uncanny valley. after unvexed dub on uv010 and puli kali (rooted dub) together with goetterkreis on uv020 ep he provides four original cuts that extend the label s sound with some uk flavour. here are some plain and simple cuts by yours truly credit 00 that push just the right buttons to make people move. 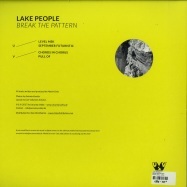 the tracks were made exclusively for his live set but they are too good to keep them back. without superfluous frills these four bangers scream party in every note but as usual with credit 00 theres also a melancholic side somewhere behind those tricky beats. house is a feeling! parts 3 of the amazing celebrate release on 12 inch... part 3 starts with a bang and -in der weltraumdiskothek- by mysterious dresden based producer dc production. if youve ever wondered what music would be played at the night club of the ewoks this tune might be the answer. 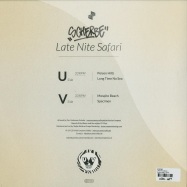 -nuthin wrong here- is scherbe to the bone with his stumbling beats, dirty synths and heartbreaking samples. we also have a big heart for disco here at the valley and this is proven by sandrow m & k_chico who put a smile on our face with catchy guitar licks, bouncy bass lines and cheesy vocals. -space dancer-, what more could you desire? finally, filburt from leipzig brings things down to a peaceful end with his slightly melancholic -my time-. merry christmas from the uncanny valley! our new record is dedicated to the land of christmas, the erzgebirge (a mountain chain in the state of saxony in germany) and its renowned folk poet anton guenther. lovingly packed, with a beautiful etching of a schwibbogen (a traditional christmas candle arch from the erzgebirge) on the b-side and with unique liner notes by the one and only max rademann its the perfect christmas gift for electronic music lovers and their audiophile moms and dads! on uncanny valley s catalogue number 18 we finally welcome back credit 00 who is a man in charge of a decent collection of those dusty machines we all love. after the ice cold the living room life ep from 2012, his brand new record ice cream is easy to fall in love with. 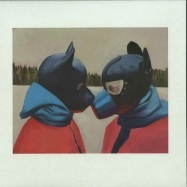 packed with tunes to suit various moods in life, it will be a faithful companion in dark basements or lonesome hours. ice cream starts deliciously with its sleazy sample choice. 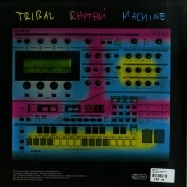 with the distinctive drum work it builds up to a true chicago-inspired dance floor banger. round n round hits hard with a harsh kick and cowbell action before it shows off slightly melancholic lead synths and a subtle but effective bass line and puts the emphasis on the fact that things go round and round. life s a dizzy affair. east of nowhere with that bass line-sound is credit 00 to the core. and with spooky synths he puts you to an east of nowhere-place where you will lose yourself in manic trance-like dancing. 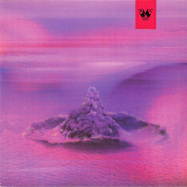 the record ends with red wine , a slightly different electronic love song sung by credit 00. the cover artwork was created by alexander dorn. 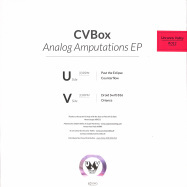 one year after the first excursion into his haunting world of sonic spaces on the analog amputations ep, machine wizard cvbox strikes back on uncanny valley with the follow up trawler crossing. 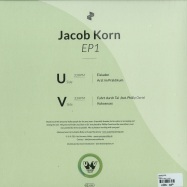 after all efforts were put into jacob korns debut album during summer 2012 uncanny valley strikes back with namesake jacob stoy and his very first solo ep after his s51 for the uv010-compilation. everything starts with redensart, a sunny piece of music with a sneaky bassline and easy synth pads that come across like a warm rain shower: its house in the end but feels like so much more. hauswart is an impressive example of how one can create a whole atmosphere of sound within two minutes. its short but feels so comfortable that you really like it to go on and on forever. start is maybe the most conventional deep house track on the ep and seduces with catchy synth chords and thrilling drums. 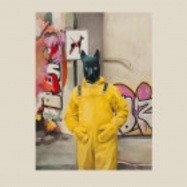 finally gegenwart brings things to a jazzy end with tipsy synths and tripping percussions. the artwork comes from none other than jacobs father olaf stoy, who is a painter, lyricist and porcelain designer still working in jacobs hometown rabenau near dresden. you & me is an album, which is here to extend the listeners summer. 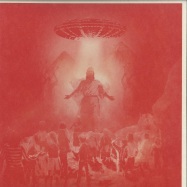 the concept of collaboration is even expanded on the cover artwork. 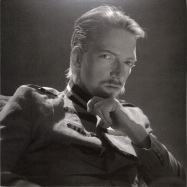 a team of seven graphic artists led by johannes timbernagel interpreted the same template of jacobs face in their specific style. to bring them all together johannes texturized a 3d-model of jacobs head with a collage of all the drawings. 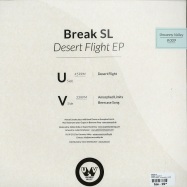 after appearing with c-beams recently,break sl strikes back with a massive track called desert flight that has already been causing a stir amongst the uncanny valley crew for quite a while.over the course of ten minutes the track unwinds as an analogue slowhouse trip that is dominated by a gritty synth figure.with typical sophisticated break sl drums,radio transmitted messages directly from the cockpit and a freaked out siren its a track that is not from this world. 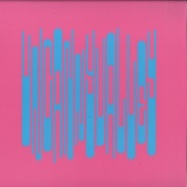 the flipside starts off in a more classical manner with the rumbling house of amorphed limits. the track is distinguished by rapturous synths and gets spiced up through additional drum work by break sls partner in crime manuel sander. beercase song originates from collaboration with dresdens universal genius max rademann. 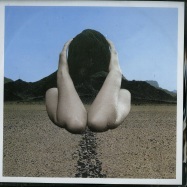 his quirky keys and break sls drum workshop create a dirty piece of funk which rounds up an eclectic ep by a versatile producer.the cover artwork was created by visual artist and designer julien simshäuser who illustrates the trip that is desert flight. 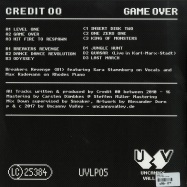 uncanny valley continues to introduce more artists from the valley with their own solo ep.with uv008 its credit 00 whos put on the map. the dresden resident delivers four ice cold chicago inspired cuts, with hints of acid and electro,straight out of his machines which will make every synth aficionados mouth water.another me is, by credits standards,an almost intimate jam, which shows that house can be a decent funky affair.in the cave problem youll get an extensive bassline before synths that seem to come directly out of a hurdy-gurdy from hell add the right dose of gloom.the b-side is started off with the living room, a hard rocking track that comes like an acoustic exploration of sophisticated sound and drum ideas. the final brios theme is a weird and slightly menacing sci-fi work that only needs a proper movie.and again a new cover artist, credits longtime buddy geprg hpfmann. the uncanny valley-quartet is rounded up by the ace of spades. 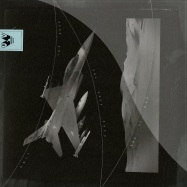 before starting to release its first artist-eps, the compilation-series is rounded up for now with the roughest ep so far. sneakers you think you think! takes no prisoners and comes with a dark bass line you cant really resist. the track is a musclebound monster and includes claps that are out of control and freaked out vocals by sneaker himself. 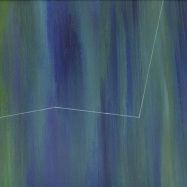 no less rough is cvbox machinematch, even if its acid-thunderstorm builds up far more subtly. 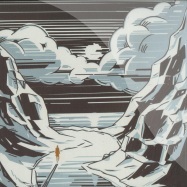 finally, plätschern by stefan lohse takes us on a 100-bpm-journey straight into analogue wonderland..
a great versatile release again where the label shows their fascination for forwrad thinking challenging dance tracks without forgetting that its dancetracks... some references can be made to early british idm, detroit techno or chicago deep house...but somehow these guys have a pretty unique sound so comparing wouldnt do them justice. 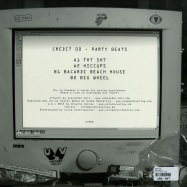 something bewtten house and electro music! 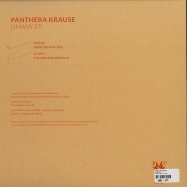 modern forward thinking house music by panthera krause on his new ep for uncanny valley. 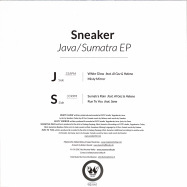 the successor to his highly acclaimed umami ep is not only rich in giving the dancers material to freak out on the floor. 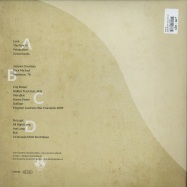 beyond that, all my circuits part i is a perfect showcase for the leipzig based producer s wealth of variety. heppy is a piano driven anthem that will surely capture many hearts thanks to an irresistible dynamic. there s some acid in the veins of stomping ground, a track that you should show your rocker friends when they doubt that there is energy in house music. unraveled dreaming is as demanding with strong sample use as it is beautiful with a build-up for eternity in the second half. 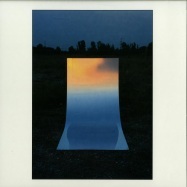 finally, le phoque is quite a playful affair with its whirring sounds and driving percussion work. tip! 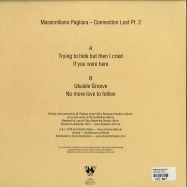 for the second part of his -connection lost- series massimiliano pagliara teaches a lesson in how to translate disco music in a modern language of sound. without further ado -trying to hide but then i cried- comes across as pure dance floor material. in a world without hope, a world with no appetite for sonic adventures, there s only one man who can save us all. he is... the sample jesus! from behind the enchanted pyramids of egypt comes a man that has nothing to prove but a lot to give. taught by a legendary pharaoh, he has lived the life of an eremite for decades. exhausted after years of asceticism there was only one goal on his mind: to blow all the misery out of our heads. on the constant search for the perfect sample he listened to the finest mongolian folk to experimental tuvan throat singings. it was only recently that he was returning from his self-imposed exile to come up with a record that hits deep in everybody s soul. hallelujah, house-heads and hip-hop-kids, be prepared. listen to the word of the sample jesus! the title track has already made rounds on numerous dance floors and proved to be an irresistible organ house monster. panthera krause s tracks wiggle within the zone between epic floor moments and abstract beat structures like in the mighty -z-cuts- or in the flute-induced -howling for july-. finally, the space between us- is an emotional ride through the twilight of eternal loss and extravagant hope. 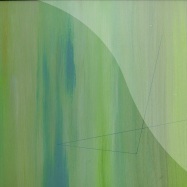 the artwork was created by lisa geue. give n take is a new series on uncanny valley that focuses on favourite and like-minded producers from some of our core artists. after the extensive uncanny valley 20 compilation we go back to our classic 4- track-format for uncanny valley 025. taking the chance to introduce 3 new artists to our roster, we warmly welcome lake people, philipp triebel and rj (who is also one half of duererstuben) to add their distinctive flavour to this record. it s time to celebrate! 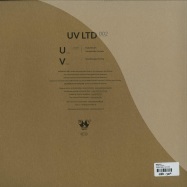 at catalogue number 20 uncanny valley extends its compilation-concept to 12 tracks spread over three records (or as a bundle if you prefer digital). with new music by label-regulars like jacob korn, cuthead and credit 00, friends like rvds & k alexi or filburt and fresh talents like goetterkreis & steve kasper it is an exciting ride along the winding roads through the uncanny valley. 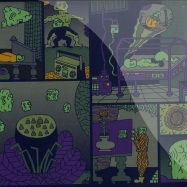 the three records are visually linked with distinctive artwork by the ever-reliable paul waak. 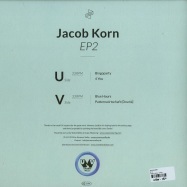 part 2 sees the long awaited return of jacob korn whose der don is his first production for uncanny valley since his acclaimed album you & me in 2012. with overlapping strings and thrilling beats it s an epic dance floor banger and jacob korn at his best. 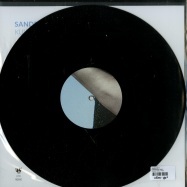 dresden s goetterkreis and steve kasper put their focus on percussions and dub techniques. 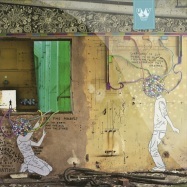 their puli kali (rooted dub) is a well-executed combination of dubby techno and funky uk bass music. 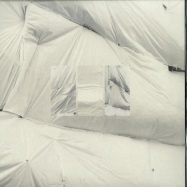 also new to the label is lounge 44 who works up a soul tune into a climatic house track in best cut-up fashion. kornhead aka jacob korn and cuthead throw together their preferences for pumping beats and jazzy samples which results in a laid back house track that actually wanted to be hip-hop jam. free download included. there we go again. 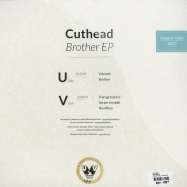 finally, cuthead returns with the long awaited follow-up to his brother ep. who is next, please? 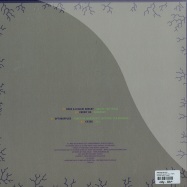 it is sandrow m who was introduced with *the three trees* on uv010. finally, he arrives with his solo debut for the dresden based label and it ended up being a hell of a record full of diversity. 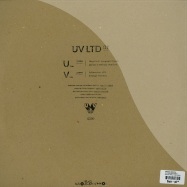 uncanny valley introduces the next artist from the uv010 compilation with his solo debut. 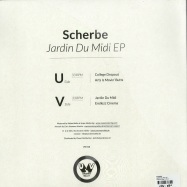 this time its scherbe and his jardin du midi-ep! 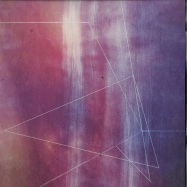 number eleven on uncanny valley focuses on the soundscapes of cvbox who debuted on the fourth compilation, uncanny valley 4, in 2011. releasing his first solo record, hes finally able to express his very specific idea of sound somewhere in between meditative ambient and compelling techno on the analog amputations ep. past the eclipse is shaped by echoing choirs at first and mutates then into a serious detroit funk killer for self forgotten techno dancefloors. counterflow starts to roll with menacing drones but quickly surprises with its optimistic atmosphere and an irresistibly catchy synth flute. the flipside starts off forcefully with the oldschool techno stomper droid swift 836. after that orience floats in a sea of pads without losing the funk of the cvboxes. 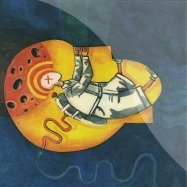 the cover artwork was created by visual artist paul barsch from dresden. catalogue number ten at uncanny valley and for this occasion the dresden based label returns to its roots with another various artists ep. actually, this is long overdue since there are a lot more talented producers to find in the elbe valley. on uncanny valley 010 we present four of them. 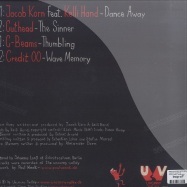 sandrow m who focussed on the c-beams project recently has been part of the label right from the start. with “the three trees” he makes his solo debut for uncanny valley. the track is a summery house tune that shines with garage vocals and warm synth pads. steve kasper is slowing it down with unvexed dub which is an immersed house excursion for the morning hours. on the flipside scherbes kill bills stumbles but does not fall. instead, the track lives from tottering interaction between bright percussions and fractious drones below. 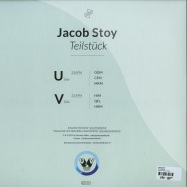 finally, its jacob stoy who closes the record with s51, a dreamy deep house study including heavenly pads and subtle drum programming. for the artwork we are very glad to welcome back paul waak and his colourful figures that gave the first four compilations their unique look! uncanny the label that took everyone by surprise comes with more goodness! 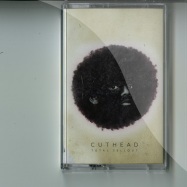 the third artist-ep by dresden-based label comes from house- and hip hop-mastermind cuthead and is nothing less than a proper power package. with vibratin things start off as deep as the bottom of the sea. 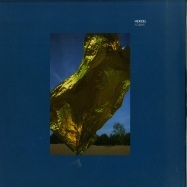 underneath cutheads dense drums there is an intense and meditating synth line which is eventually complimented by an acid figure as if it was an evil twin. brother rolls in with a mighty kick drum, before a catchy sample and not less catchy piano motives prepare for a propitiating end. with transgressions and its bass line for the bigger floors things get down to house business once again. 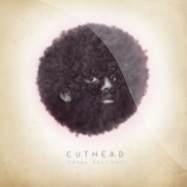 the remaining two tracks then give an impression of what happens, if cuthead takes to the mpc for his liveset. 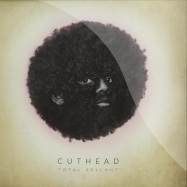 in seram lembah und heartless cuthead combines his drumming with south east asian disco-mantras und bittersweet blues chants to heavy hip-hop-grooves. loving it! dresdens cult label uncanny valley returns with the charming catalogue number six. 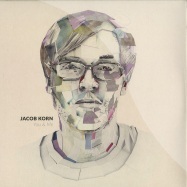 following up jacob korns first artist ep for the label its c-beams turn now to continue the series of artist eps. 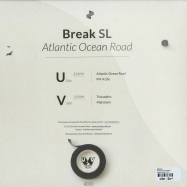 break sls and sandrow ms project can be referred to as a true labels child. musically, both artists got to know each other only when the label was founded. 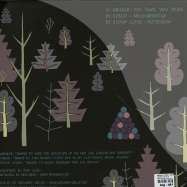 for >strollin< they lend the vocal talents by tina slotta who is associated with uncanny valley as well. the result is an irresistible house-jam. 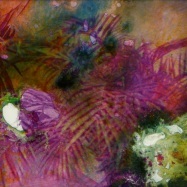 easy vibrant beats are complemented by birds twittering, warm keys and tinas carefree lyrics. jackmates remix toughen things up and transfers the tracks with mighty detroit-chords into a real monster for the dancefloor. 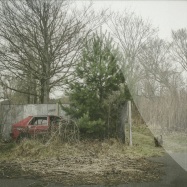 the slightly murkier >scrapyard< takes its strength out of the interaction between its vehement beats and the c-beams-typical sound excursions. 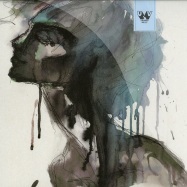 finally, the instrumental of >strollin< rounds up the ep. 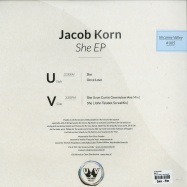 the fifth release on dresden-based label uncanny valley is the first artist-ep and with jacob korn and his she ep one of the artists that contributed to the label from the very beginning provides a great start for the new series. 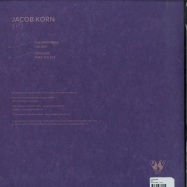 last year the eponymous she has already made the summer even more thrilling when jacob played it in his live set. 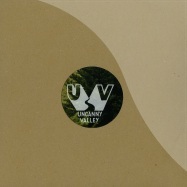 next big uncanny vally with a great jacob korn track featuring kelli hand - thank you dresden for this 12inch! 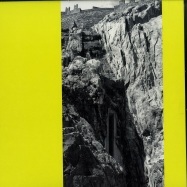 jakob korn, break sl, thomas froehlich, cuthead on the first release of this ambitious new label from dresden. with its foundations firmly rooted in house and open to all styles such as techno, disco and dubstep. its a small community of friends and producers, djs that meet each other the old fashioned way, the local record store fat fenders. the first release is a true house-affair. 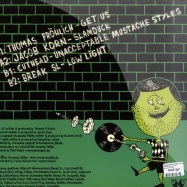 thomas froehlichs >get us< is a mysterious and breathtaking opener with beautifully plucked strings and a summerish feel. 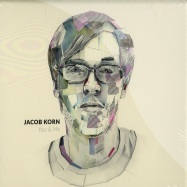 jacob korn with the surprise track on this record that combines intricate soundscapes built on an uplifting groove. this guy is on a roll! 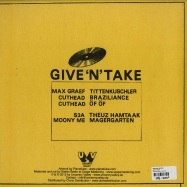 on the b-side breaks-prankster cuthead unleashes an unusual deep house study entitled >unacceptable moustache styles< before the record concludes gracefully with break sls late night jam >low light<. we ve said it before... the next generation has arrived! its time to celebrate! 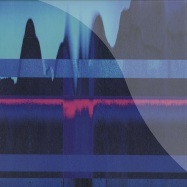 at catalogue number 20 uncanny valley extends its compilation-concept to 12 tracks spread over three records (or as a bundle if you prefer digital). 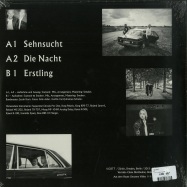 the tracks will also be released as a cd compilation. with new music by label-regulars like jacob korn, cuthead and credit 00, friends like rvds & kalexi or filburt and fresh talents like goetterkreis & steve kasper it is an exciting ride along the winding roads through the uncanny valley. 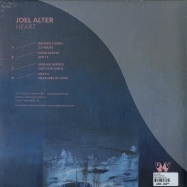 the three records are visually linked with distinctive artwork by the ever-reliable paul waak.